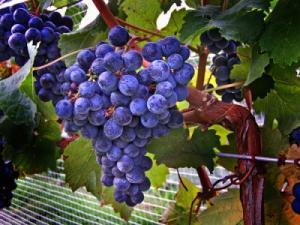 Ever dreamed of taking a Finger Lakes wine tour? The Finger Lakes Region offers an abundance of premium wineries and wine trails which follow the banks of five different lakes. The Cayuga Lake Wine Trail, the first of its kind in America, offers a full calendar of events, including a Wine & Herb Festival. The organized wine trails make touring easy and their special events such as the Holiday Shopping Spree in December are not to be missed. Try a wine tour package and let someone else do the driving! 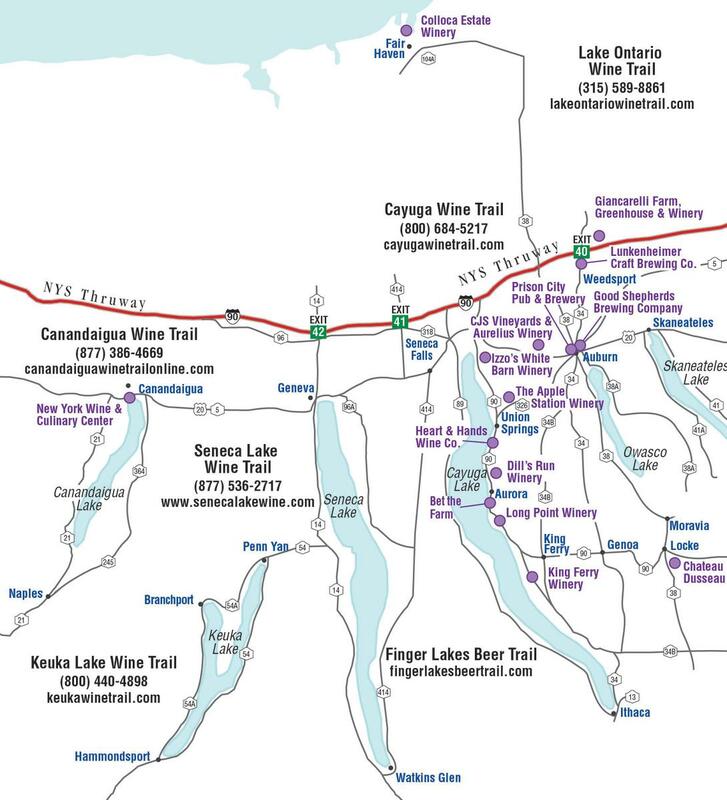 Make your Finger Lakes vacation truly memorable by visiting Cayuga County&apos;s twelve wineries. Meet the winemakers, tour the vineyards, take part in special events and taste our award-winning wines. Wine tasting in Cayuga County is a special experience in a quaint and charming atmosphere. Most wineries have a small tasting fee, which is often refunded with a purchase of wine, so the cost to taste is virtually free. See suggested wine tour itinerary. A Little Cheese With Your Wine? Travel the Finger Lakes Cheese Trail and enjoy the wholesome goodness of cheese that can only be found fresh from the farm. Be sure to check out the upcoming Finger Lake Cheese Trail Open House. Visiting a microbrewery or cidery is another great way to experience the flavor of Cayuga County. Sample an ice -cold beer brewed from the finest and highest quality ingredients or an artisan hard cider made from local apples. You will definitely want to take a growler or jug home to remember your Finger Lakes tasting experiences.